Our brains are composed of 100 billion neurons and 100 trillion synaptic connections. Yet, despite that vast processing power, our brains are unable to process all the data entering through our senses. Because of that, our brain takes shortcuts. These shortcuts are called heuristics or cognitive biases, and sometimes they can lead us to incorrect conclusions. 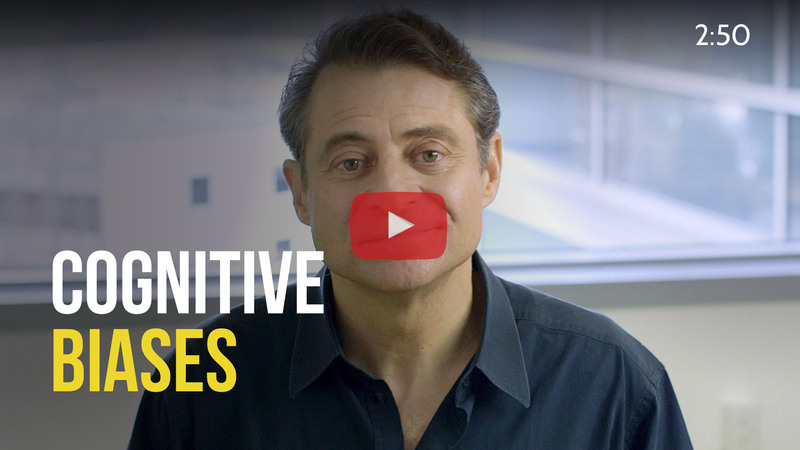 In my Abundance 360 Digital program, I walk through some of the most critical cognitive biases for entrepreneurs to avoid. Here’s an example: The bandwagon effect, also known as herd effect, is the tendency to believe things because many other people believe the same. People will change beliefs they are almost positive are true, simply because groups around them don't share those beliefs. Here’s another: We have a tendency to trust people who are better looking – or to trust people who look or dress in a similar fashion to ourselves. The Lake Wobegon effect is the tendency to report flattering beliefs about oneself and believe that one is above average. The illusion of control is the tendency for human beings to believe they can control or influence outcomes that they clearly cannot... One example is the sports fan who wears their favorite jersey to the game to increase the chance that their team wins. The overconfidence effect is the tendency to overestimate one’s own ability. But the most important cognitive bias, I believe, is the confirmation bias. The confirmation bias is the tendency to search for or interpret information in a way that confirms your own preconceptions. This is the one that we, as entrepreneurs, must most carefully avoid. If you go out of your way to surround yourself only with those who compliment your work and never criticize it, you’ll rapidly get yourself into trouble. Your ability to recognize and not fall prey to a confirmation bias, the ability to really hear everybody’s thoughts (including the negativity), and then weigh and balance these beliefs, is vital to an entrepreneur. Question your core beliefs and surround yourself with people who think differently from you.